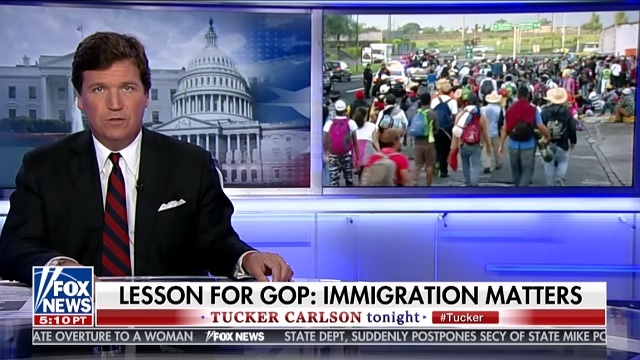 Tucker Carlson said Wednesday night on Fox News that mass immigration has turned California from a "solidly Republican" state into a Democratic stronghold and is now transforming Nevada, Arizona, Texas, Virginia, North Carolina, many other states. "California was once a solidly Republican state, for generations," Carlson said. "It is now among the most Democratic." "Immigration. Different people live there. Not surprisingly they vote very differently." "Something very similar is happening right now in Nevada, Arizona, Texas, Virginia, North Carolina, many other states, and that was reflected in last night's vote totals," Carlson said.